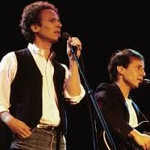 Learn how to play Simon & Garfunkel – The Sound of Silence note-for-note on guitar. Thanks Nick – from one “lift the needle” guy to another. Thank you so much for the lesson. I recently decided to record this with my grandaughter and I have never sang in the harmony range before and coming across this post not only helped with the guitar line but also with the singing …. again thank you much. Thanks for the Sounds of Silence lesson, like your song choices. I plan to buy some! Thank you so much!!! The best tutorial ever. Props to your work! Thank you SO much! And thanks for doing this. You are a great teacher . Learn a lot from you. Happy days my friend. Man, you are the best! Thank you!!! I can’t believe I didn’t stumble on your YouTube tutorials earlier. I was doing it a bit wrong and you just nailed it. Awesome. Thanks for sharing that with us. I most surely will see more from your tutorials. Cheers from Holland. I had a look at several tutorials for “Sound of Silence”. The one I found here is absolutely great. It is explained perfect and it is SO very near to the original ! Thanks a lot ! I agree this tutorial video is easy to understand one of the best songs Paul Simon ever wrote. Thank you Jerry. Thank you Jackie. The Boxer is actually already available as a paid lesson. Thank you for posting the video and made available pdf files . You are special. God bless you. excellent lesson, clear – concise and free – what more could you ask for! Wow, thank you so much! Amazing to have access for free! I just downloaded it, and looked at all this, it’s a real amazing good work ! I don’t have a capo at the moment so I’ve had to resort to barring the entire song. Hopefully the one I ordered will arrive soon. Wow that’s hard work Michael! As a self taught guitarist I have meny bad habits, lessons like this help me break those. Your voice is soothing to hear as well. Great easy to understand instruction. Great job. One of my many favorite song. Thank you from an old beginner . Awesome voice ! Excellent teaching skills ! Thank you so much!! Great lesson. your voice is so beautiful, comfortable. Thank you very much, awesome work. Thank yo for inspiring me. What a gift. Thanks a lot for your prompt reply with the great sheet. Nice explanation. Thanks for the tabs. Thanks for the excellent lesson on Cloudy! Great teaching!